Hi! I and many others know how much of a pain it can be to find a steady, legal source of income for your character. Fishing may not be the most glamorous job, but it easily pays the best out of all the scripted jobs... if you do it right. - Fishing off the jetty is worth the time. FALSE NEVER and I mean NEVER fish off the jetty. The fishes you can catch and the payout you get is significantly less than fishing off of the public reefer, which is also free to use. - You make more money the farther you go from the dock. FALSE As long as you are fishing on a boat, and not a jetty, the catches are 100% random. 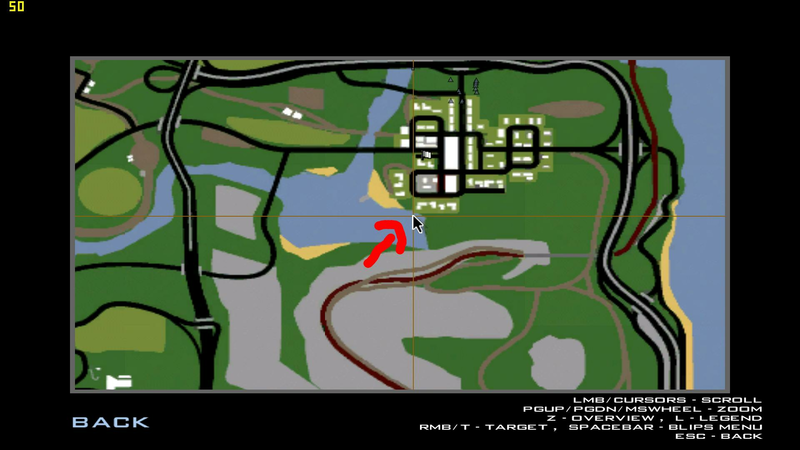 You could be fishing south of Ocean Docks in LS, and get the same catches you get in Palomino Creek. - You make more money using a boat you own vs. the public fishing Reefer. There is SOME truth to that, you will get the same catches fishing off the public Reefer vs fishing on your own boat. However, on your own private boat, you can use crates. Fishing with crates is generally more beneficial as you can fish for longer without needing to go back to shore to sell your fish. On the Reefer, you can only carry your fish on your person, with a maximum of 5. However, while fishing with a crate does not yield any more profit than fishing without a crate, you don't have to waste time going back to shore every 5 minutes. - Bigger crates yield more profit FALSE The prices of each crate do correlate with earnings, so each crate size yields the same profit per fish. In other words, for each fish you can hold, you pay $20, no matter which crate you use. /fish: Casts your line until you catch. You can either catch a fish, a money bag, or some other type of debris. /buy (at the fish shop): This is where you purchase the essentials. To fish, you need: A fishing permit, bait, and a rod. Also, if you have your own boat, you can purchase a fishing crate here. /sellfish: Opens a dialog allowing you to sell all of your fish. /sellcrate: Sells all of the fish inside your crate. /myfish: Displays useful information pertaining to your fish and supplies. Shows fish types, weight, bait, and rod durability. /fcrate setup: Type this while holding a crate and standing on a boat you own. This will secure the crate to the boat, so you can begin to store fish. /fcrate store all: This will store all of the fish you have on your person (/myfish) in your crate. /fcrate take: This will pick up the crate off your boat, so you can carry it to the shop and sell. Your boat must be unlocked to use this! - Get a Boat License, whether you buy a boat or not. This is useful because you can then move the Reefer from its spawnpoint to a spot where you can fish. - Don't take the public Reefer too far, its not YOUR Reefer, it's the PUBLIC Reefer. Many people take it far away because they feel like they own it. It not only hurts you but it hurts everyone else too. A good spot is right here, right on the dock but out of the scripted limit. - Don't tab out while driving the Reefer, it desyncs it for everyone else. - For people who have their own boat and use crates. As long as your crate is setup, it persists through relogs. So, if you fill a large crate halfway and have to log, when you come back everything will still be there as long as you don't take it out of the boat. Anyways, I hope you all like my guide, if I made any mistakes please correct me. Also, if you have anything to add please let me know! From my experience I've earn the same (or even less) money no matter where I fish. Regardless whether I'm at the dock or out on my boat. Jk. Nice guide mate. Just add commands for newbies such as how to place crates, how to fish, how to sell and stuff. How much is a private boat from players nowadays? Is it worth buying? I've done a lot of testing on that, but if you are referring to what most people do, fish on the Reefer right next to the dock, that is classified as fishing on a boat. So you will make the same amount doing that vs. fishing really far away on a private boat. From my limited knowledge on whales, they seem to be completely random but have an insanely low chance to catch. I've spent probably upwards of 60 hours fishing, and have yet to catch one. However, I have seen people catch them on the public Reefer, so I believe it is possible on a boat at any location. Doubt you can on the jetty, however. Honestly, my boat is my donator vehicle, I know the Dinghy is $200k from dealership, and it doesn't make sense to spend more on a bigger boat due to the whole crate profit system I explained in the guide. Tbh my suggestion would be to split the cost with someone and share it? Idk honestly. I havent really timed how long it takes me to fill up a crate, so if someone wanted to time that and report back, I could try and estimate how long it would take to make your money back. Cause in the end, it makes no sense to buy it if you aren't going to use it enough to pay for itself. An excellent guide. A personal tip, try to put yourself in a relaxed mindset when you go on each fishing trip. A problem I've faced is needing to fish for cash, but getting bored and restless within just a half of an hour. If you calm yourself before you go fishing, you'll be more patient and you might enjoy yourself more, not to mention that the trip will be much more worthwhile. I also do a bit of roleplay apart from spamming /fish when I'm on my boat out on the river. It makes the whole process less boring and tedious if you roleplay something while you spam /fish - from having a beer to switching lures or bait. If only I had this guide when I started playing. It was a time when you could store fishing crates into cars, always rented a boat, place the crate inside a car and place the fish in the crate because I was too poor to buy a boat. Anyways, really good job with this tutorial, will help a lot of people in the future. Thanks for posting. Is there some spooky way to get a whale or is it all just random? that was just when they got added (a year ago or smth), caught on my new char. I didn't expect actually catching one off the reefer, haven't heard many people catching whales so I suppose the chance of getting one is really really low. You can't catch a whale from this guide, it's a regret but big thumbs up for showing the newbies the perfect spot where to fish.